Ideal for cigar lovers, Cohiba is one of the only two cognacs in the range to be composed exclusively of pure Grande Champagne. Its overtones of dried flowers compliment the tobacco flavours particularly well. Martell Cohiba is a unique composition of aged eaux-de-vie from the Grande Champagne terroir. 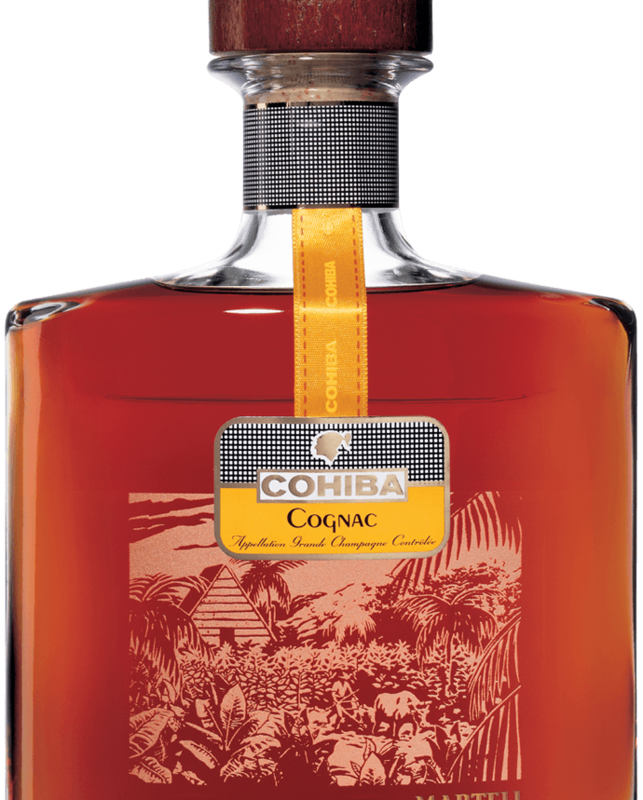 This superb cognac yields complex and intense aromas, honouring its Cuban kinship with Cohiba cigars. The perfect alliance of expertise that bears the seal of excellence. Amber with golden highlights and hints of mahogany. Gentle notes of berries, dried fruits: toasted almonds, hazel and other nuts, roasted coffee beans. Subtle floral aromas, touch of liquorice and slight nutty notes. Rounded, smooth and sweet attack. A touch of liquorice and a slight nutty note in the finish. The strength and richness of Martell Cohiba match to perfection the taste of a Cohiba cigar.